We know it’s springtime. But you can’t blame us for thinking about drinks with tiny umbrellas, warm walks in the sand & maybe a midnight dip in the ocean. Besides, it’s never too early to start planning (or at least daydreaming) about a well-deserved beach vacation. Here’s what to wear on your next beach (or pool) side vacation! When a stroll along the boardwalk is on your agenda, you’ll need a few classics: distressed jean shorts & a stylish pair of sandals. 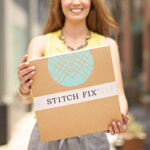 Pick a top that has light, airy fabric & a bag you can easily sling across your shoulder. Mirrored aviators (to match your metallic slides) & bright lipstick will give you a style stamp of approval from that hip LA crowd. Stylist Tip: Instead of flip-flops, opt for an updated pair of slide sandals. They’re as easy to slip on & infinitely cooler this season. Life’s a beach… especially when you’re sitting pretty in Waikiki. For a tropical beach getaway, you’ll need some stylish beachwear that’s festive enough for those warm, luau-filled evenings. Sheer material with bold prints will do the trick (break out the boho! )—just add a metallic sandal to help you transition from day to night. A bright clutch adds a pop of color & a perfect place to stash your sunnies. Stylist Tip: Don’t discount the perfect straw fedora. It’ll shade your face from the sun & give any look an instant island vibe. There’s nothing more idyllic than a summer in Massachusetts (or the Hamptons or Maine). Make a beeline to this quiet Northeastern seaboard for gorgeous beaches, boating & a whole lotta lobster. 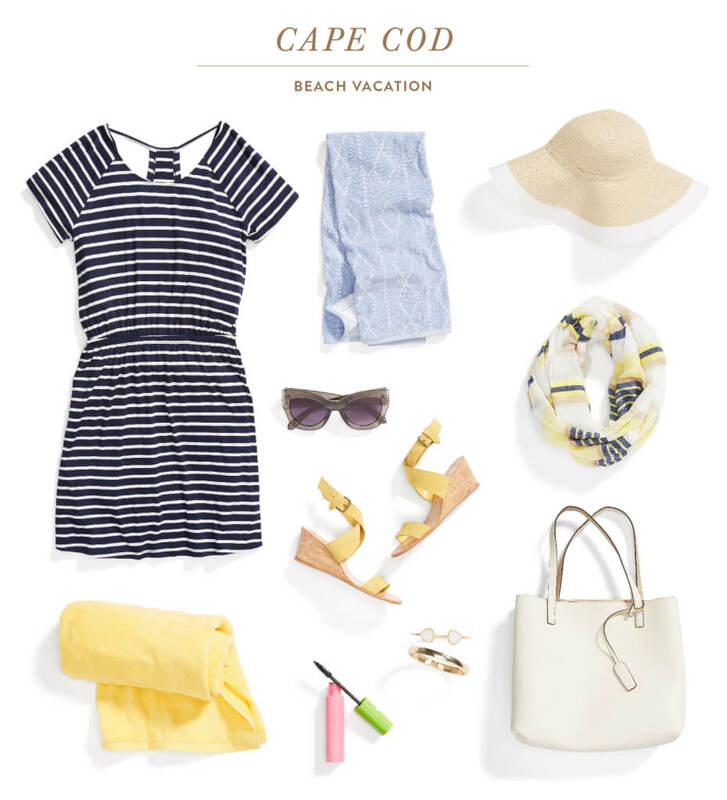 Bring a preppy T-shirt dress with a nautical stripe, oversized sun hat & espadrilles to go from beachcombing to clambake. Stylist Tip: Don’t be afraid to mix & match your stripes. If your dress or top has bold or wide stripes, try playing with a micro-stripe (the tinier the better) scarf in a lightweight material. Heading to a tropical jungle? 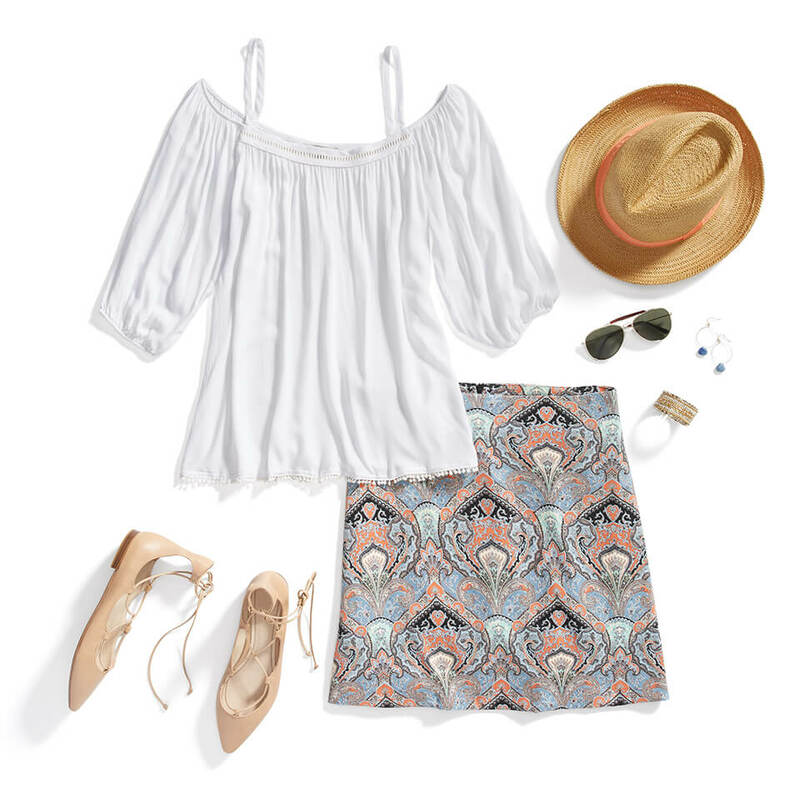 Get in the mood with a vibrant, boho-inspired printed skirt & off-the-shoulder top—idea for catching your first summer rays. Complete your outfit with a simple straw hat, aviators & some on-trend lace-up flats. Stylist Tip: If you’re wearing a slim-fitting bottom, try playing with proportions up top. A loose, flowy blouse has met its style-mate when paired with a graphic miniskirt. Stay beach-chic but still dinner-ready in a pair of striking white jeans, neutral heels & a printed tank. If you head out early to catch happy hour al fresco, make sure you bring an oversized, wide-brimmed hat (for sun-safety’s sake!) & stash it in your tote when the sun sets. Stylist Tip: Hide unwanted fizz by tying your locks up into a decorative silk scarf. Add in a fishtail braid and you’re to look effortlessly stylish. A T-shirt dress with details at the neck & hemline says “throw on and go” after a long day spent poolside. It can do double-duty as a bikini cover-up and a date-night ensemble. To dress it up, pair it with 4-inch wedge heels & a great carryall bag. 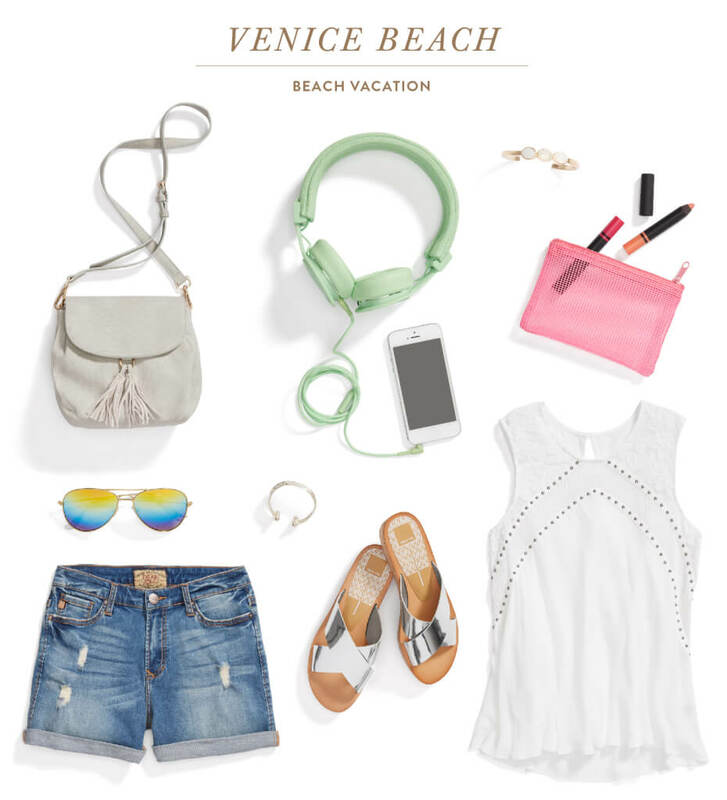 Stylist Tip: A beach getaway is your excuse to really get wild with your accessories. Go crazy with beaded bracelets & statement earrings. Jetsetting to a tropical locale? Lucky you! 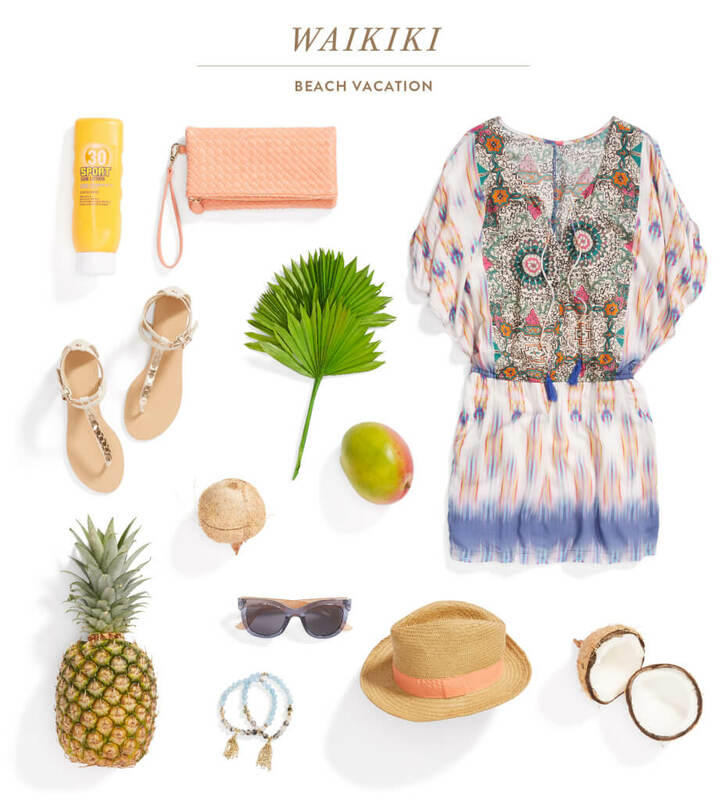 Tell your Stylist where you’re going to receive resort wear styles.